What an incredible month! We’ve released forty-five shows since launch day on February 1! It is hard to comprehend that more than 34K downloads have happened in 113 countries! Thank you for those of you who have been on the show, shared the show, and are sharing what you’re learning! It has been so much fun. If you’re wondering what people are listening to, here are the top 10 shows for March and also since show launch. These are calculated on downloads as of today. Of course, this is only 2 months, but we have had 45 episodes! Thank you to those of you who are listening and chatting with me on Facebook and Twitter about your thoughts. Thank you also for your guest suggestions. I hope you’re learning about some new teachers and best practices! The post 10-Minute Teacher | Top 10 Episodes of March 2017 #10mt appeared first on Cool Cat Teacher Blog by Vicki Davis @coolcatteacher helping educators be excellent every day. Meow! Today TW Williamson @tww00 an educator in Taiwan, shares his story of global collaboration and connection with US teacher Annette Lang. In today’s show, TW shares 5 Ideas for connecting your classroom with others. Connecting is part of a teacherpreneurial mindset that characterizes a true world-class 21st-century educator. Let’s dig in. Building trust and collaboration with colleagues around the world. I hope you enjoy this episode with T.W.! TW Williamson, teacher in Taiwan, collaborates throughout the year with Annette Lang in the US. Born, raised, and educated in Maine USA at public schools, private college, community college, and State University. Have taught for over 30 years, including middle school, high school, and community college; subjects including Latin, English, and Emergency Medical Technician. Former nationally certified Paramedic, spent many years serving and teaching in EMS, and former National Ski Patrol member on the slopes and instructing. After living and teaching in Maine for a long time, the family relocated to Taiwan, where my wife and I teach in the high school at KAS (http://www.kas.tw/). We love living here and explore Asia for a variety of interests. 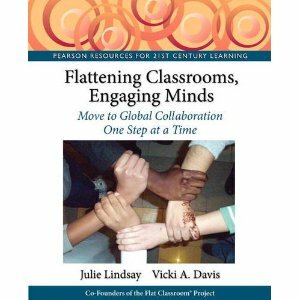 The post 5 Ideas to Connect Your Classroom appeared first on Cool Cat Teacher Blog by Vicki Davis @coolcatteacher helping educators be excellent every day. Meow! I hope you enjoy this episode with Larry! Larry Ferlazzo has taught English Language Learner, mainstream, and International Baccalaureate classes at Luther Burbank High School in Sacramento, California, for thirteen years. He has written eight books on student motivation, classroom management, and English Language Learners. He writes a popular resource sharing blog for teachers, a weekly advice column for Education Week Teacher, and contributes regular columns on education issues to The New York Times and The Washington Post. He also hosts a weekly BAM! radio show. Larry is an adjunct faculty member at California State University, Sacramento and the University of California, Davis. He was a community organizer for nineteen years prior to becoming a teacher. Lastly, a basketball team he plays for has come in last place every year since 2014, so he should not give up his day job for a career in sports. The post Larry Ferlazzo’s Thoughts on Classroom Management appeared first on Cool Cat Teacher Blog by Vicki Davis @coolcatteacher helping educators be excellent every day. Meow! Today Candace Hisey @MissHisey talks about true STEM and Language Arts Integration. With both extended and daily projects, students watch science, technology, engineering, and math come alive in all of their classes. Hear how Candace does it in today’s Wonderful Wednesday classroom tour and why she’ll never go back to the “old” way of teaching. Scroll down for links and pictures! I hope you enjoy this episode with Candace! Some of the links below are affiliate links. This means that a percentage of the sale price will be paid to me by the vendor for the referral. This is done at no additional cost to the purchaser. Candace Hisey is a graduate of Baldwin Wallace University and has been teaching Language Arts at Bio-Med Science Academy for three years. She is a strong proponent of interdisciplinary education, and this year she has been working with the chemistry instructor to build an integrated curriculum for tenth grade. Pictures of the Projects Candace discusses in the show, used with her permission. 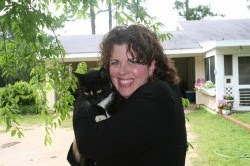 The post Successfully Integrating Language Arts and #STEM appeared first on Cool Cat Teacher Blog by Vicki Davis @coolcatteacher helping educators be excellent every day. Meow! Today Justin Kamp @kampmiltonmusic Kids can learn to make music with iPads and technology. This isn’t just child’s play – some serious music learning can happen. On today’s show, K3-6th grade teacher Justin Kamp @kampmiltonmusic from Wisconsin unleashes his favorite apps, strategies, and tools for making music with kids of all ages. I hope you enjoy this episode with Justin! Want to hear another episode about iPads and edtech. Karen Lirenman and Kristen Wideen share awesome apps for iPads in the elementary classroom. Justin Kamp graduated from the University of Wisconsin-Whitewater in 2013 with a degree in Instrumental and General Music Education. He is currently a K-3 and 6th grade General Music teacher in Milton, Wisconsin. He is nearing the end of his fourth school year and has been an “iGuide” technology trainer for his building for the past two years. Milton is 1:1 with iPads for all K-8 students. He has been published in the Wisconsin School Musician magazine and has been a guest writer for the online Music Technology website: Midnight Music based out of Australia. Justin has presented at SLATE (technology conference) as well as at the Wisconsin Music Educators Association’s State Music Conference. On March 1st, Justin’s Third Grade students performed at the State Capitol for Music In Our Schools Month. It is his goal to incorporate technology into his classes, whether it is a full blown lesson using iPads, or using the SMARTboard for smaller activities. Justin also actively performs in a variety of different local performing ensembles playing bassoon. The post Making Music with iPads and #edtech appeared first on Cool Cat Teacher Blog by Vicki Davis @coolcatteacher helping educators be excellent every day. Meow! My husband told me Friday night, “Did you really listen to what Angela Maiers said on that podcast?” I was tired beyond belief – not taking very good care of myself and having one of those bouts of self-deprecation that some of us teachers have. So, this show is for me and one I’ll listen to for years to come. I know there’s someone else out there who needs to hear this talk about mattering, worthiness, and good health. Thanks, Angela Maiers @angelamaiers for sharing your heart. Get the 10-minute Teacher Show delivered to your inbox. Thank you for subscribing to the 10 Minute Teacher! Now, check your email and confirm to get this podcast delivered to you every weekday. I hope you enjoy this episode with Angela! Angela Maiers @angelamaiers has been creating and leading change in education and enterprise for 25 years. Her powerful message and down-to-earth style have made her a highly sought-after keynote speaker for education conferences, corporate events and innovation summits. Angela is the author of six books, and the founder of Choose2Matter, a global movement that challenges and inspires students to work collaboratively to develop innovative solutions to social problems. The post How to Unleash Genius in Kids and Teachers #YouMatter appeared first on Cool Cat Teacher Blog by Vicki Davis @coolcatteacher helping educators be excellent every day. Meow! Today Daisy Dyer Duerr @DaisyDyerDuerr reimagines what rural education can be. Rural education has a significant majority of perpetually impoverished counties in America. Additionally, only 55% of rural America has broadband access versus 94% of urban America. This digital divide and poverty create unique challenges. Daisy gives us five ideas to address them. An idea for partnering with higher education to better understand the specific needs of rural education. I hope you enjoy this episode with Daisy! As the CEO of Redesigning Rural Education, LLC, Daisy is a National Keynote Speaker, Education Consultant, and Leadership Coach. She is an NASSP Digital Principal, and was a featured panelist & Principal of 1st rural school featured @ Digital Learning Day Live! (2015). Daisy spent her last 4 years in public education (2011-2015) as a “Turnaround Principal” of a Rural, Isolated, Pre-K-12 Public School. She’s served as Principal of 2 Schools recognized as “Model Schools” by Dr. Daggett’s ICLE. Daisy testified in front of the FCC in Washington, D.C. as an advocate for Rural Broadband. Daisy currently hosts “Totally Rural,” a National Podcast bringing attention to Rural Business and Education issues, promoting advocacy in across the rural American space. Daisy continues to be an advocate for ALL students in every ZIP CODE. She was named a Distinguished Alumnus of Lyon College in 2015 & also appeared on Arkansas Times’ “2015 Top 20 Innovators in Arkansas” list. The post 5 Ideas to Improve Rural Education in America appeared first on Cool Cat Teacher Blog by Vicki Davis @coolcatteacher helping educators be excellent every day. Meow! Today Eric Sheninger @E_Sheninger challenges us to move to the next level with digital technologies. We can’t use tech because it is “cool and new.” It must improve learning. If it doesn’t improve learning, why are we spending the money? Thank you Eric for donating Digital Leadership as the give away contest for this show. You can enter here. Encouragement for teachers who feel like an island of innovation with technology. I hope you enjoy this episode with Eric! Eric is a Senior Fellow and Thought Leader on Digital Leadership with the International Center for Leadership in Education (ICLE). Prior to this he was the award-winning Principal at New Milford High School. Under his leadership his school became a globally recognized model for innovative practices. Eric oversaw the successful implementation of several sustainable change initiatives that radically transformed the learning culture at his school while increasing achievement. He has emerged as an innovative leader, best selling author, and sought after speaker. The post Eric Sheninger Talks About Digital Pedagogy That Improves Learning appeared first on Cool Cat Teacher Blog by Vicki Davis @coolcatteacher helping educators be excellent every day. Meow! 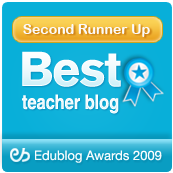 Help students share their work. Give them a voice. Students can lead parent conferences. They can share a year-long portfolio of work. Here’s how. Today Laura Penrod Stock @tweetmeego coaches students to create powerful student-led conferences with their parents. By creating unique year-long portfolios, Laura believes students connect with their parents to help plan their future work and share their learning. I hope you enjoy this episode with Laura! Laura Penrod Stock is a Lee County (Georgia) middle school classroom teacher. Sculpted from her experience in economic development, she is passionate about student eportfolios. “Teaching students to present themselves and their ideas effectively will determine their success in the global marketplace,” Stock submits. She is the inventor of Meego®, a cloud-based collaborative platform for artifact collection and eportfolio creation. Stock holds a B.S. in Consumer Economics, Auburn University, M.P.A. , Columbus State University, M.S.E.D.L., Western Governor’s University. Stock is the Lee County Georgia System Teacher of the Year 2016, GREA Outstanding Educator Award winner and a member of Delta Kappa Gamma. 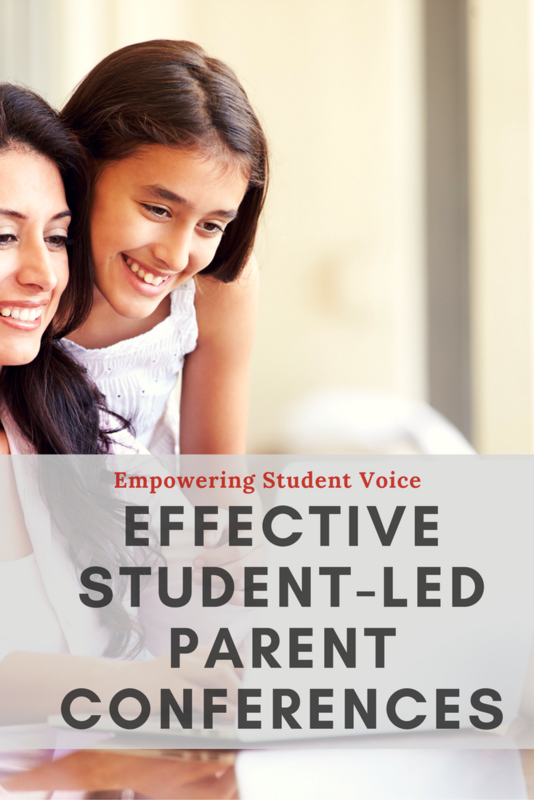 The post Effective Student-Led Parent Conferences appeared first on Cool Cat Teacher Blog by Vicki Davis @coolcatteacher helping educators be excellent every day. Meow! The murderous mobster Jimmy Hoffa once said, “I may have my faults, but being wrong ain’t one of them.” If such an evil man – guilty of prostitution, gambling, corruption, murder and more — didn’t see his faults, what hope do we teachers have of teaching kids the difference between right and wrong? How important is teaching ethics in the classroom? How do we instill a moral compass in every student? How can we work to consistently cultivate values of thoughtfulness and empathy without directly teaching it? What roles do teachers have to play in creating kind and compassionate citizens? I have to say, this particular post has caused me agony. I’ve wished I was GK Chesterton or CS lewis. But instead I’m just a small town teacher, albeit one who has worked with lots of kids and adults. This post is my heart. It may not be perfect but it is my small contribution to a very big topic with no easy answers. This really does happen. For example, a teacher lost her job for posting Facebook pictures with a beer in her hand. Another lost her job for twerking. While some may not understand, we teachers model life every day. Some students do not have adults in their lives to be a good model of behavior. Even kids have great parents, teachers often spend more time with children than parents do. As a teacher, my response to the struggles of life are some of the most important things I teach. For this reason, the greatest teaching secret that I never share is my own dedication to fervent prayer. I’m confronted with too many hard things every day in order to make it on my own. I say this to point out that there are no easy answers when it comes to teaching kids. We teachers all cope in different ways. Live life like it matters. Know that students are watching. Apologize when you do the wrong thing. Point out when children do the right thing. Kindness. Sticking up for those who are being bullied. Generosity. Caring. By pointing out when kids do the right things, we’re pointing out that right things exist. Let kids make choices. It is ok for students to disagree with me. They make choices. I have to let them without being dogmatic or condescending. Accept people who are different. Since every person is a masterpiece, loving people is art appreciation. Students need to meet, greet, and relate to all kinds of people from around the world. We all must appreciate and respect the differences we have and the beauty they bring to our world. Teach kindness and empathy. I work hard to create projects like Mad about Mattering that encourage students to solve problems. Have empathy. Be kind to others. Education can learn a lot from the story of the Romero family pet. Deal with Trouble When It is Small or Not At All. The small things aren’t small. Small things are big things just starting to grow. I cut PE one time. I had forgotten to read Sounder and needed to get it done before Literature. So, I cut PE class and sat on the bus reading until it was time for class. I was caught. I never cut another class. My principal (and family) stopped that behavior the moment it started to grow. The desire to ever be where I wasn’t supposed to be was nixed right then and there. I yelled at the TV when the reporter talked about Ethan Couch’s “affluenza” claim. His lawyer claimed Ethan Couch was so rich he didn’t know right from wrong and thus, shouldn’t be guilt of manslaughter. Are you kidding me? But I promise that this wasn’t the first thing his parents had probably “gotten him out of.” He probably started with lying or hurting someone. I bet some teachers knew his name. There is a time for grace and forgiveness (good educators know when) but there is also a time for accountability. Stop misbehavior before it grows. Look at where a habit can lead if it is not stopped. It is easier to pull out a seedling than chop down a tree. Deal with behavior when it is small or you may not be able to at all. A while back, I had Ron Clark on a podcast and he talked about a phone call he got from a parent upset that her child didn’t get a cookie. “Your child didn’t deserve the cookie,” said Ron. Another teacher I know told me that they were discussing whether to install bullet proof glass between the students and teachers in a particularly gang-ridden school when the class sizes had gotten too large and unruly. Some teachers say troublemakers are sent right back to their classrooms with few or no consequences. Trouble makers should have trouble consequences. If they do not, trouble just becomes a form of entertainment or a very desperate cry for help. One of the greatest disservices we can do to society is to ignore what should be dealt with right now. He did eventually lose his job. One student didn’t accept his apology and didn’t feel safe. There is a difference between BEING OFFENSIVE and BEING WRONG. Just because you offend someone doesn’t necessarily make you wrong. But in the end, history has shown us that Churchill, although he was offensive, he was right. And one could argue that Chamberlain empowered Hitler’s rise to power by being afraid to offend Hitler. Some people are worth offending, especially when they are evil. Right or wrong is not determined by how many people are offended. The now popular movie Hacksaw Ridge has an epic scene where the whole unit is waiting for Desmond Doss to finish praying. [spoiler alert] That everyone was waiting to attack was astounding because Desmond Doss was harassed and bullied by many of them in the previous years. You see, Desmond Doss had conviction. He would not carry a gun. It was his personal code of conduct. The leaders felt it was a danger to everyone else that he wouldn’t carry a gun and tried to court martial him. He persisted and won. And saved many lives as a medic. Desmond didn’t advocate or try to make it so no one else could carry a gun. But he won the right to go into battle defenseless but armed with prayer and a determination to save lives. Although it offended the generals and others that Desmond had such a standard, history now shows us his heroism. Morals offend people because some peole don’t want to be told they are wrong. In order to help kids develop a “moral compass”, they will be told things that will offend them but will make them think. People who are easily offended become angry people who don’t make very good citizens. People who learn to reason things out and make up their own mind, make better ones. Too many schools are a place of don’t do. Don’t lie. Don’t cheat. Don’t hit people. So, in the end, we have to get at the do’s. Do be happy for others when something good happens. Give kids simple guidelines for how to treat others and how to live life. Teach kids what to do. One reason Cathy Rubin’s question filled me with such dread is that I knew it would lead me here. One can’t bring up morality without touching on religion. My parents always told me to avoid politics and religion when meeting strangers unless you like standing in a South Georgia fire ant bed. The results of both can be painful. But she asked, so here we go. Think about it. In the United States, the founding fathers wanted to avoid having a state religion. State religion always leads to a state of oppression. But it seems to me that freedom of religion is being rapidly replaced with freedom from religion in the minds of many. Our ancestors knew what it was like to be deemed “politically incorrect.” In those days, they would lose their job. Lose their home. Perhaps even lose their family, if their views didn’t line up with “the state.” They didn’t want a state religion. However, there’s going to be an ism somewhere in our schools because there are questions in the universe that cannot be answered. Humans are wired to believe something about God. You can’t look at your hand without wondering who made it. So, if we choose to remove God, we have humanism or atheism instead of Catholicism or Protestantism. But we will have an ism. Individualism. Extremism. Some ism will be there whether we want it or not. Unless we work to truly have the melting pot of isms that our founding father’s intended. As part of being truthful, I believe we are whole people. As a whole person, I can’t pick and choose what pieces of me to leave out for you. For, to edit my belief systems is impossible and would make a liar out of me. In fact, my own beliefs that God is the King of the Universe and Jesus Christ is his Son are so strong, I choose to teach at Christian school. I have the freedom to speak about the Bible as I teach. But you’ll also seeing me love people of all kinds — I believe my work speaks for itself. As a teacher, I believe it is good for students to see strong, healthy opinionated adults who believe in something bigger than themselves. And I want my students to become those same adults. Freedom of religion and freedom to choose are an essential part of our beliefs and government here in the United States. But I’m afraid, in an attempt not to offend anyone, that we’ve chosen to say nothing, believe nothing, and suddenly accept everything as OK as long as you think it is OK for you. For within each person who is moral, I believe, is a respect for other human beings. But just as I would die for my faith, I would also die for you to have the freedom to choose yours. We want our students to have a moral compass. Great. But adults who are too scared to share their own views of morality will never get the job done. For it is by coming up against different views that you form your own. Diamonds are shaped with chisels and pots are shaped by the pressure of a hand. Likewise, morals are formed as we grapple with the pressures of life and come to understand what we believe. There are no easy answers here but perhaps an important conversation has begun. The post Teaching Morals and Ethics In a World of Gray appeared first on Cool Cat Teacher Blog by Vicki Davis @coolcatteacher helping educators be excellent every day. Meow!